THE UNLIKELY STORY OF A PIG spotted in COUNTRY HOME MAGAZINE Winter Issue! So, this was cool to see! My friend Lesley Graham’s beautiful home and family were featured in Country Home Magazine’s new Winter Issue, and check it out – Her oldest daughter is photographed reading my first book, THE UNLIKELY STORY OF A PIG IN THE CITY! Book trailers are such a fun way to showcase books to young readers! In just under a minute, you can provide a visual glimpse into a novel’s story and get kids excited about the adventures found in books. So check out the official book trailer for DOG DAYS IN THE CITY and let me know what you think! DOG DAYS IN THE CITY is on shelves NOW! 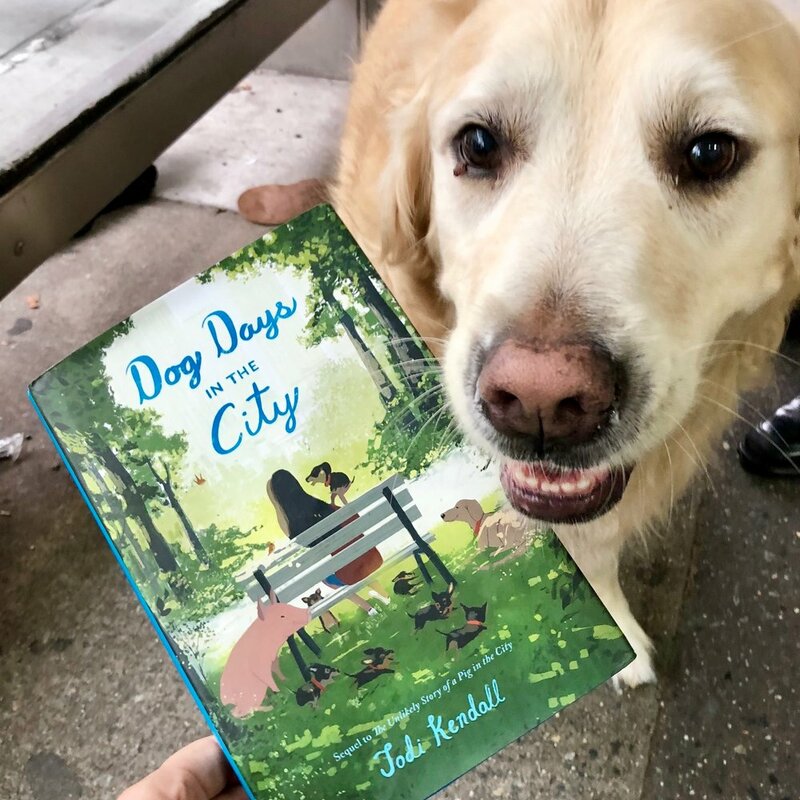 My second middle grade novel with HarperCollins Children’s Books, DOG DAYS IN THE CITY, published is now available for sale wherever books are sold! DOG DAYS IN THE CITY is the sequel novel to THE UNLIKELY STORY OF A PIG IN THE CITY. Anytime Josie Shilling’s large family gets too chaotic, volunteering at the local animal clinic is the one place she can escape—and she loves working with the animals. But when a box mysteriously appears on the clinic’s front steps, Josie suddenly becomes responsible for seven adorable puppies! Taking care of her pig, Hamlet, last fall was a bit harder than she thought. So how is she ever going to handle a whole litter of mischievous pups and find the right homes for them all? This summer will bring big changes for Josie as she learns about growing up, letting go, and loving your pack no matter what. 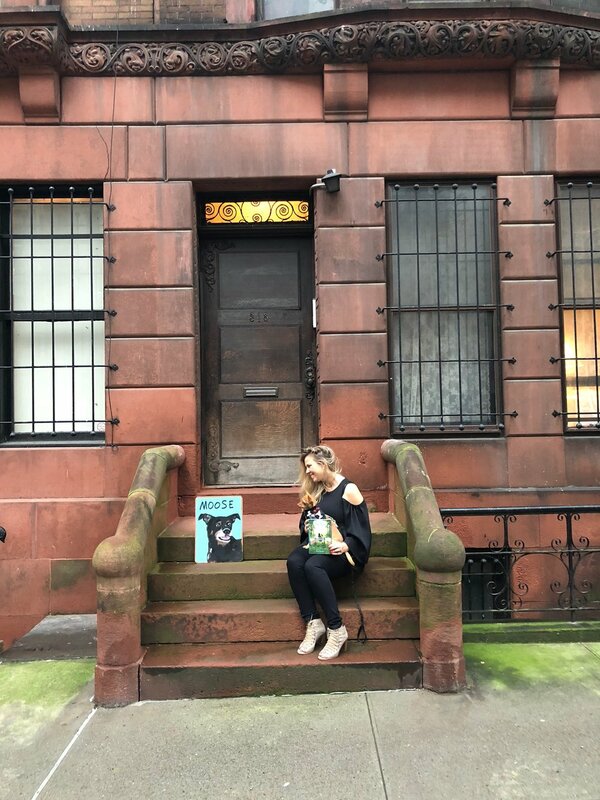 Dog Days in the City is a heartwarming blend of coming-of-age and animal friendship story that is perfect for fans of Ann M. Martin’s Rain Reign, Joan Bauer’s Almost Home, and Barbara O'Connor’s Wish. 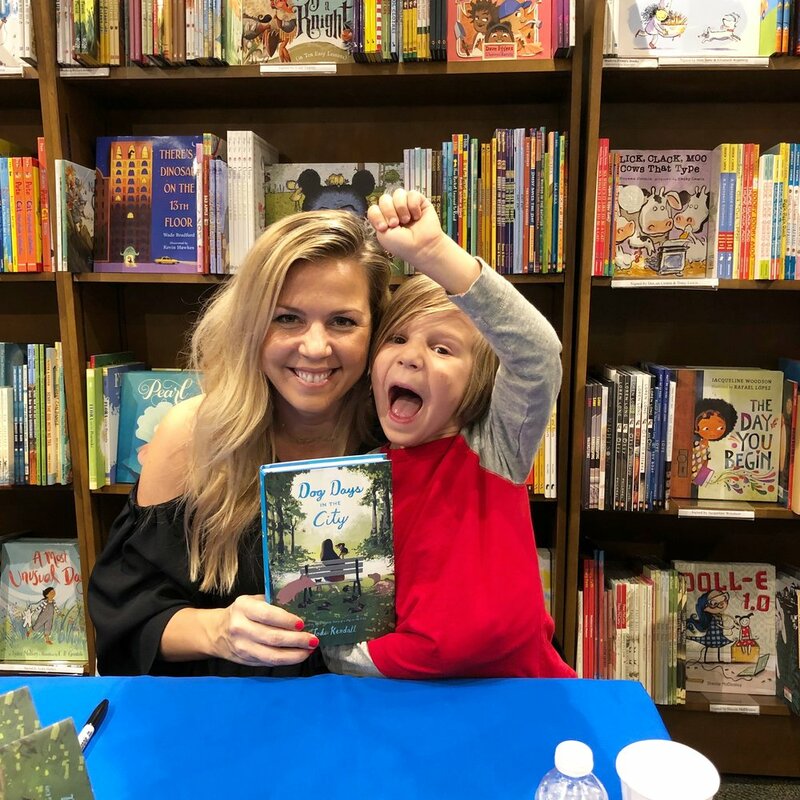 It’s been a busy two weeks of author events at bookstores, so here are some photo highlights! Want to know if I’m headed your way this year? Check out my events page! This was such a fun podcast interview! We talked animals, inspiration, my childhood in Columbus, craft tips, finding your writing voice, pushing through rejection & my publishing journey... thank you DIYMFA! If you want to have a listen, link over here.